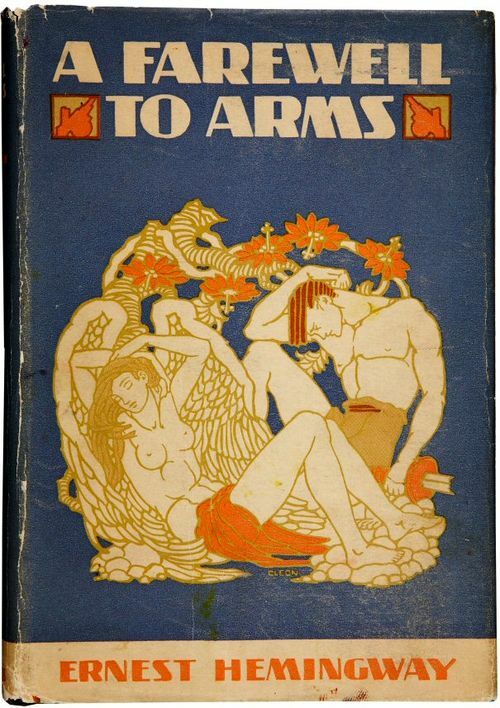 “A Farewell to Arms” is a novel written by Ernest Hemingway (1899-1961) and published in 1929. 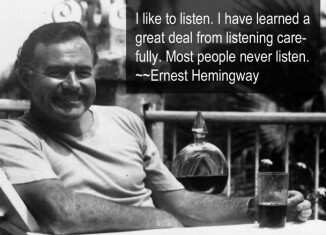 It is considered one of Hemingway’s “big four” works, along with “The Sun Also Rises,” “For Whom the Bell Tolls” and “The Old Man and The Sea.” Although it’s considered a fictional work, the content is semi-autobiographical, since Hemingway used his real-life relationship with nurse Agnes von Kurowsky while working as an ambulance driver in WWI-era Italy as the basis for the two main characters. As he was writing the novel, his wife Pauline was having a rather difficult childbirth, and he used that experience in the book as well. The story centers on the protagonist, Frederic Henry (“Henry”). Frederic narrates the story, and is an American ambulance driver during the war. He’s a typical guy in that he enjoys women, alcohol, and the camaraderie he finds with the soldiers he hangs out with. Although considered “one of the guys” he has a soft spot for the British nurse he meets, named Catherine Barkley. Catherine is originally from Scotland, and she followed her now-deceased husband in Italy to join in the war effort. She becomes fiercely dependent on Frederic’s seemingly undying love for her. There are five books that make up the novel. The first book sets the stage for the story, as Henry meets Catherine and her friend Helen Ferguson, who is also a nurse. Henry wastes no time attempting to flirt and seduce Catherine. She rejects his advances at first, but eventually gives in. The second book examines the growth of their relationship over the summer they spend in Milan. They feel married, but know that if they actually go through with it, Catherine would be sent away from the front for being a married woman. By the end of the second book, Catherine is pregnant and Henry is overjoyed about the news. In the third book, Henry returns to the fight, after the enemy has broken through the Italian lines, causing the Italian forces to retreat. Henry escapes possible execution, and in the fourth book, he reunites with Catherine and they flee to Switzerland together. They begin building a life there in the final book of the novel, and discuss marriage as Catherine’s due date approaches. At the end of the novel, Catherine goes into labor and gives birth to a stillborn child, much to Henry’s dismay. Henry remains by her side as she eventually hemorrhages and dies from childbirth. Henry seems to be at a loss for words at the very end, and can’t bring himself to say goodbye to her.